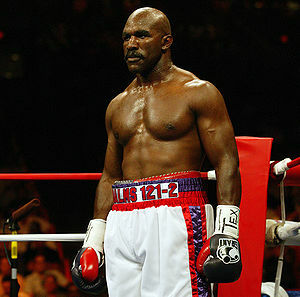 In truth Evander Holyfield’s status as a boxing legend is already assured. Any fighter who has clashed with Holmes, Bowe, Foreman, Lewis and Tyson, irrespective of their age and form at the time, is clearly a world-class operator and the manner of Holyfield’s performances during his pomp endeared him to a generation, or two, of boxing fans. His latest run at the title, as a forty something has on occasion looked capable of undermining all of his preceding achievements, but Evander, the most irrepressible of men, may yet have the last laugh. Thanks to the withdrawal of Ruslan Chagaev, he has his shot. Travelling to Moscow in October, Evander Holyfield will tackle Sultan Ibragimov in a quest to secure a portion of the heavyweight title for a fifth time. Surpassing the achievements of any of his predecessors. It represents a significant opportunity for Ibragimov to make major money and Holyfield, who has made believers of the sceptics following some improved performances, has it in his hands to deliver on what he regards as his destiny. 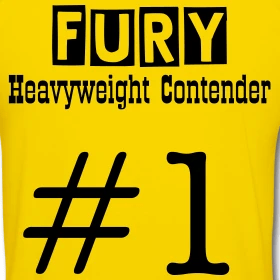 Will a 45 year old heavyweight champion represent a peak or trough for the division? Hard to say, but for all the miles the old man has travelled, fighting in Moscow – with all the Rocky IV connotations – will undoubtedly stir interest in the flagging American market for whom Holyfield’s tale will be a marketable parable. I’ve read your comment above 6 times now, and I still cant make head nor tail of it. Perhaps, were Maskaev to some how stop Peter dropping the bomb, you fancy Holyfield there too. Although, of course the winner has to fight old stiff britches himself, Vitaly next. Well im going to have a punt on Evander here, but that’s maybe because i’m drunk. Sultan Ibragimov is dreadful, and i mean dreadful on the inside and isnt at all happy when things get rough. Watch Evanders head fly in the 1st 30 seconds of this fight and watch Sultan go into his shell. Get yourself across here for that one, Dave. Your girlfriend will hate you, but how often do you get to see a legend like Holfield give it one last go?